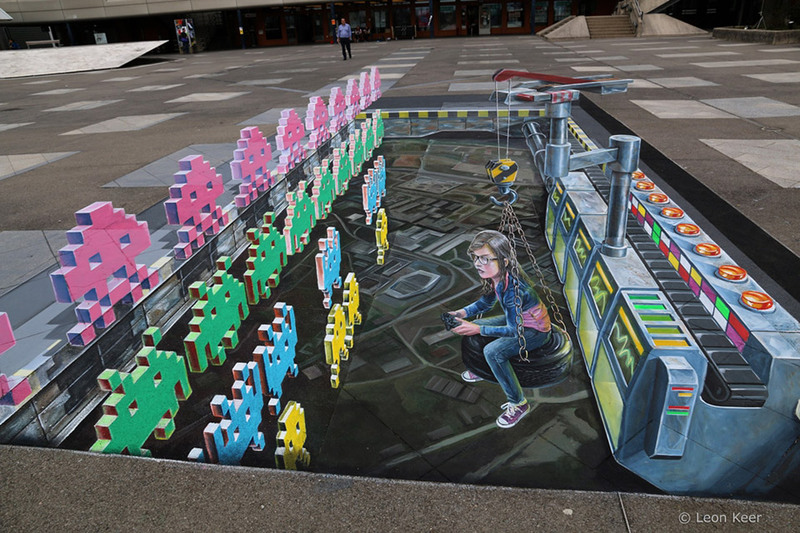 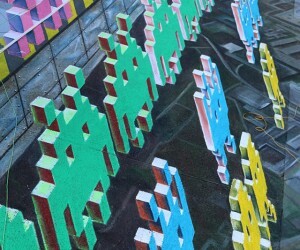 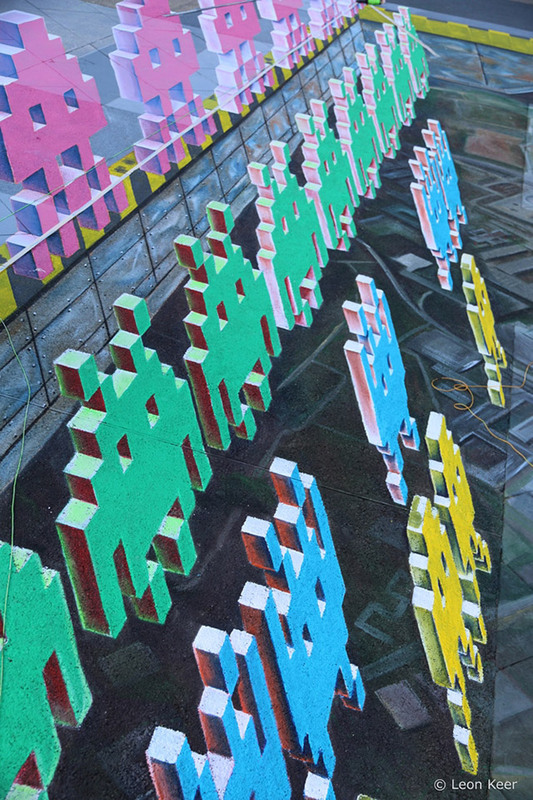 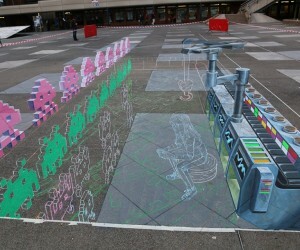 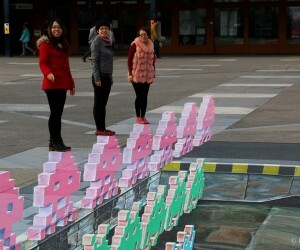 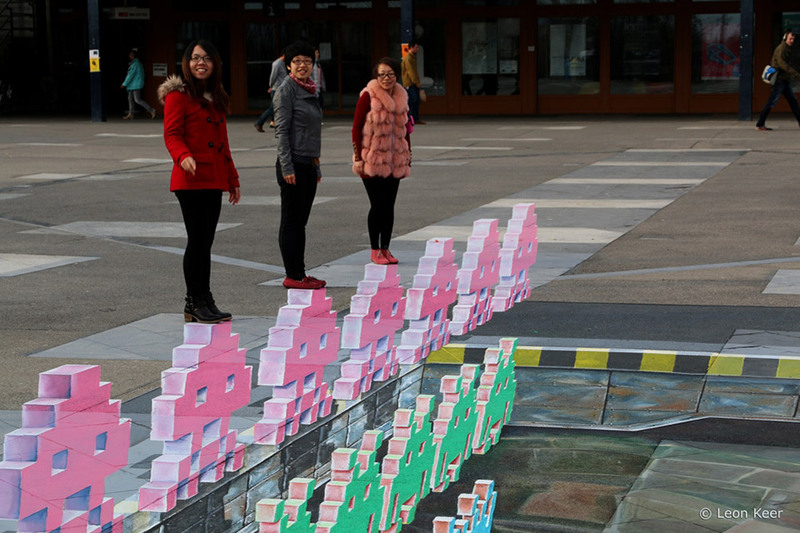 This 3D Space Invaders installation appeared recently on the streets of Lausanne, Switzerland. 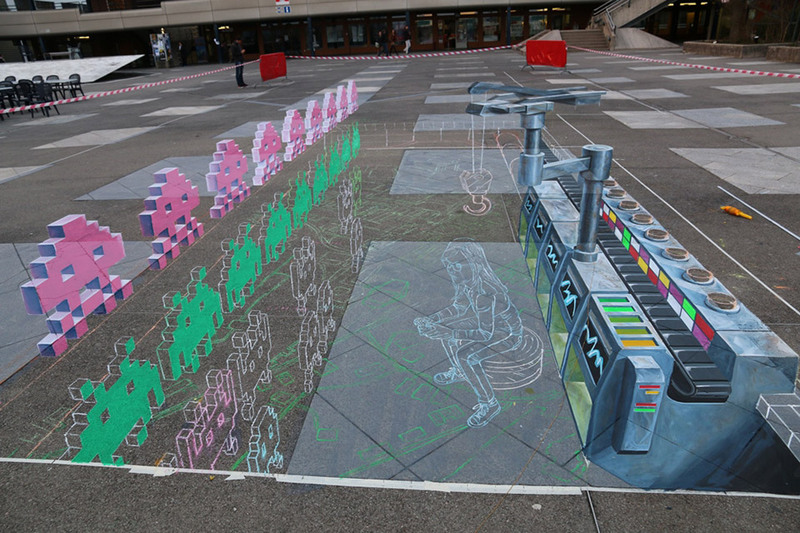 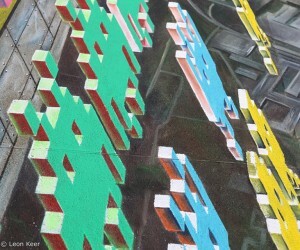 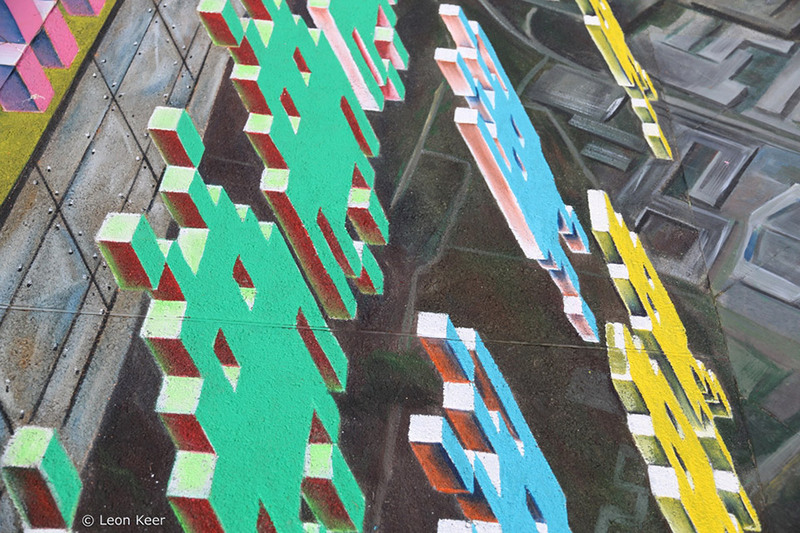 Created by street artists Leon Keer and Remko van Schaik, the artwork was done as part of the EPLF (École polytechnique fédérale de Lausanne) Art on Science project. 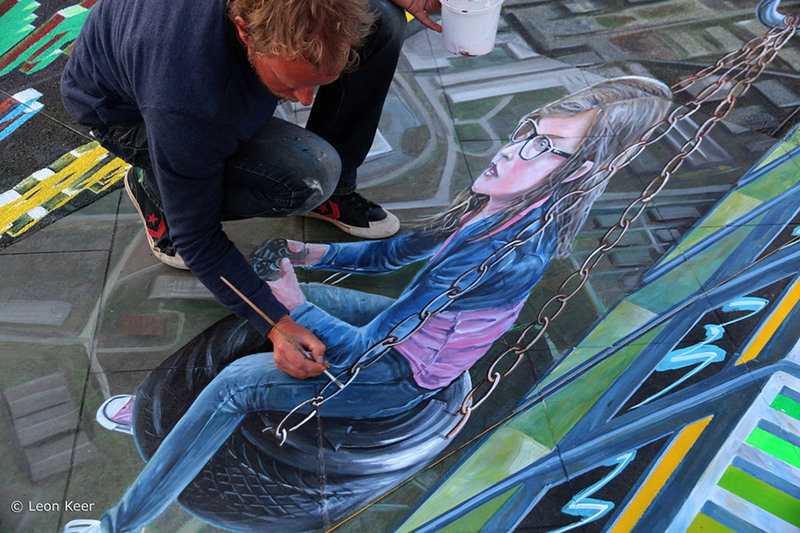 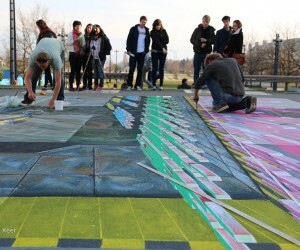 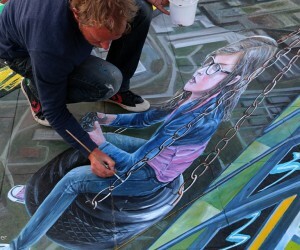 The entire piece measures 150 square meters and took six days to complete. 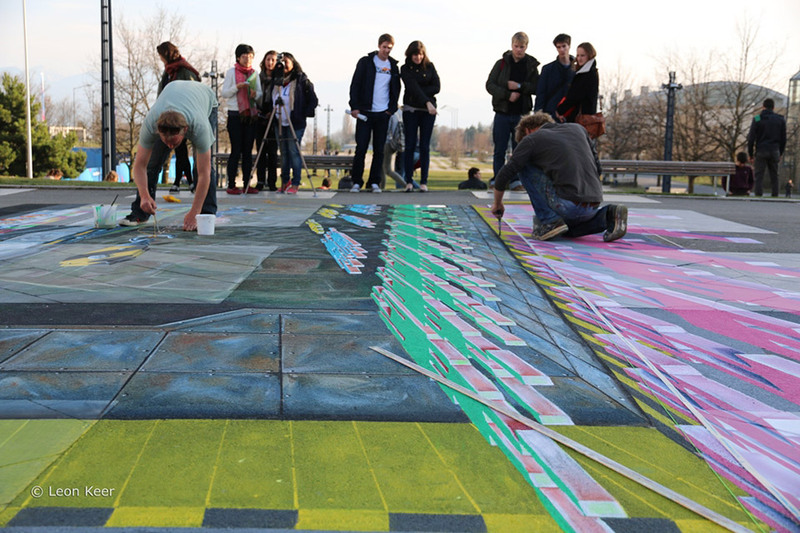 Go check it out because it’ll be gone after April 10, 2014.